To ensure the ongoing strength of WAQA and our continued growth we have arranged an Open Night to showcase what we do and to encourage new people to join us. New people means new ideas and new faces. Open Night is deliberately planned for the week following QuiltWest. We hope to make the most of the enthusiasm that is generated at the Show. We need you to help us do this. We are asking you to spread the word about the Open night and WAQA. 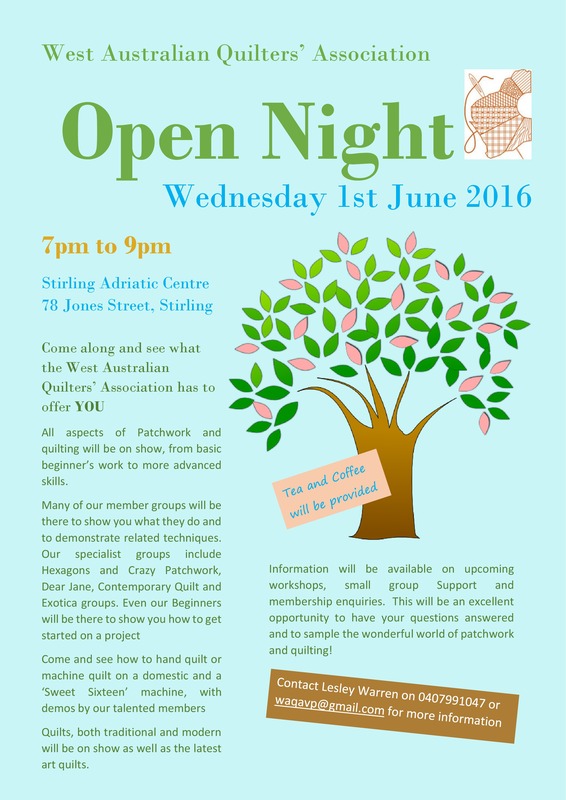 If you meet a new quilter or non-member at the Show, take the opportunity to mention the Open Night to them. 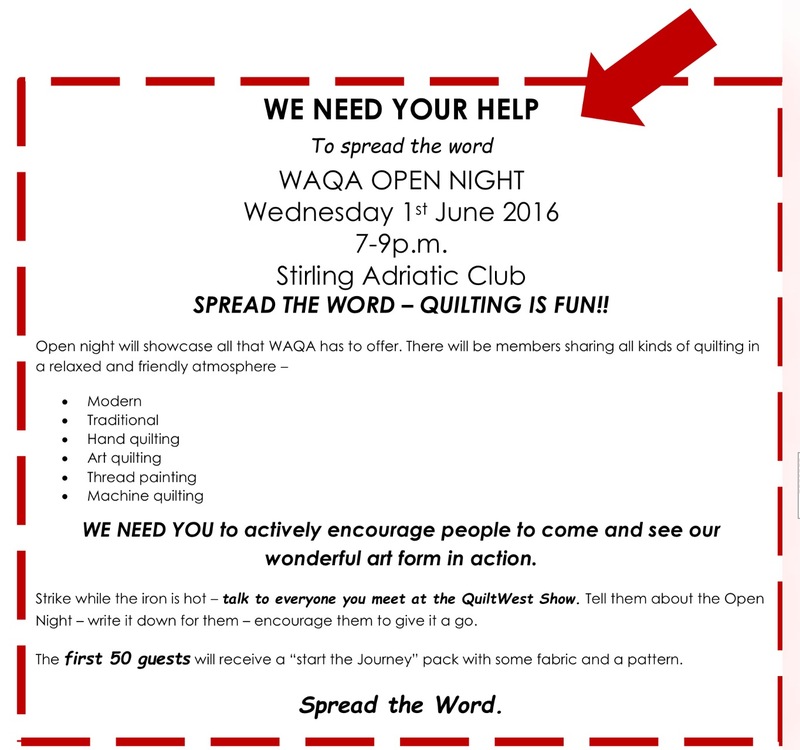 If each of us encourages at least one other to attend we can spread the word about our wonderful art form – quilting. We can then teach them, share with them and nurture them along. It is the first step of coming through our doors which takes courage. I’m asking that YOU be the welcoming presence and encourage others. Let’s make it easy for them.